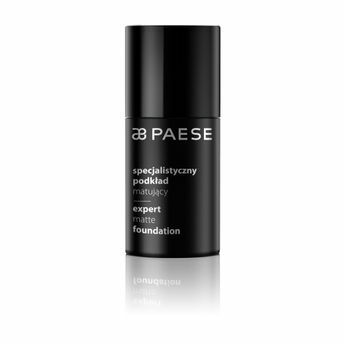 The Paese Cosmetics Expert Matte Foundation is an exceptional, perfume-free foundation with a powder effect. It is dedicated to oily and mixed skin. It covers well, making skin feel like velvet without the necessity of additional coat of powder. It provides an ideal mattifying balance between the dry and shiny parts of skin, at the same time moisturizing the rest of complexion.